WE’VE BEEN IN CALIFORNIA LONGER THAN ANY OF OUR COMPETITORS AND WE’RE HERE TO STAY! 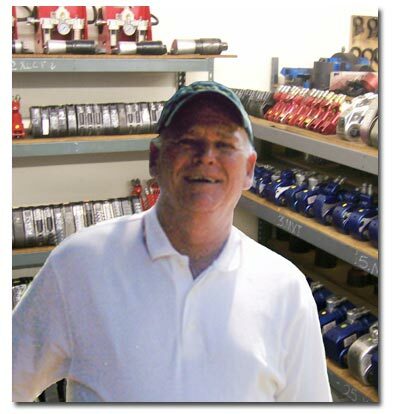 All American Hydraulic Tools is a family owned business and we pride ourselves on our personal service, large inventory and quality products for all your hydraulic torque wrench needs in California. You can always speak to a ‘real’ person at either our Los Angeles or Pittsburg locations and you’ll never be routed through voice mail mazes and on-line forms for your torque wrench rentals and repairs. Because you deal directly with the owner, decisions can be made on-the-spot. Bruce Carmichael, owner of AAHT has 29 years of bolting expertise for you to benefit from, beginning with Hytorc in Houston, before opening up Hytorc of California in 1986, selling the HYTORC® line. When the demand for torque tool rentals grew, we formed All American Hydraulic Tools for our customer’s rental and repair needs. We primarily rent the HYTORC® line but as we are an independant company and not a manufacturer's rep, we can present you with rental options from multiple torque wrench manufacturers and are not limited to just one brand. We'll show you the differences side by side and let our customers decide the features, benefits, and price best suited to their needs. Our recommendations to you are unbiased. We are not sales-quota driven. All of our field service agents have at least 15 years of experience in hydraulic tools in California and our technicians are factory trained. Contact us via email or text but better yet, a personal phone call or a visit to your site to discuss all your hydraulic torque tool needs in person.